IV infusion set with a well marked drip chamber for precise fluid administration. 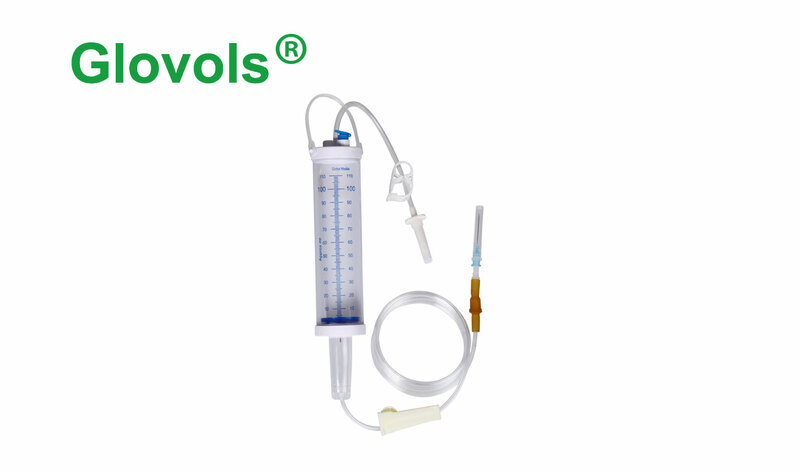 Flexible graduated burette with marking upto 100/150 ml. Sharp bevelled, smooth spike for easier penetration. Air inlet with bacterial filter and injection port. Disc filter inside the drip chamber for adequate filtration. C-clamp for regulating the rate of fluid infusion to the patient. Soft roller clamp for regulating the rate of fluid infusion to the patient. Kink resistant tubing with self sealing latex bulb for extra medication. Options of latex bulb/Y-shaped bulb; luer slip/luer lock rotator; vented spike/bevelled spike.